OneLogin 3.2.2.0 extension for Edge browser is now available at Windows Store. OneLogin provides single sign-on (SSO), password management, and identity management (IAM) for organizations that embrace cloud computing. The OneLogin is pre-integrated with popular business applications such as Salesforce.com, NetSuite, Google Apps, Zoho, Sugar CRM, GoToMeeting, Yammer as well as personal applications like Facebook and Twitter. Provides a list of all online accounts and company apps. Allows user to sign in to any app or online account with a single click. 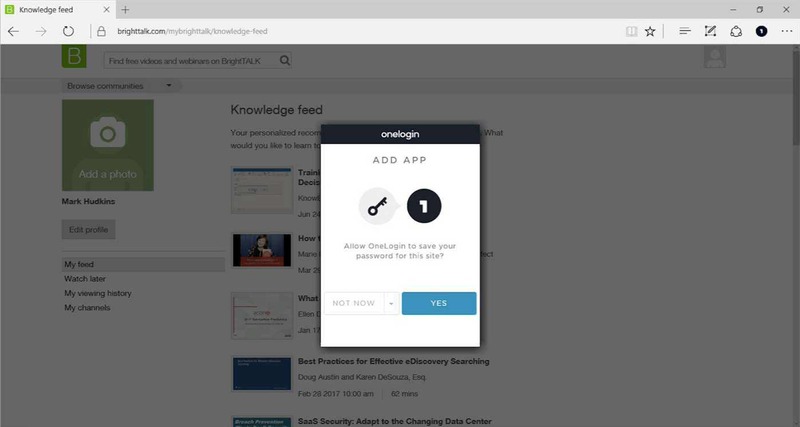 Download OneLogin 3.2.2.0 extension for Edge browser from the link below.